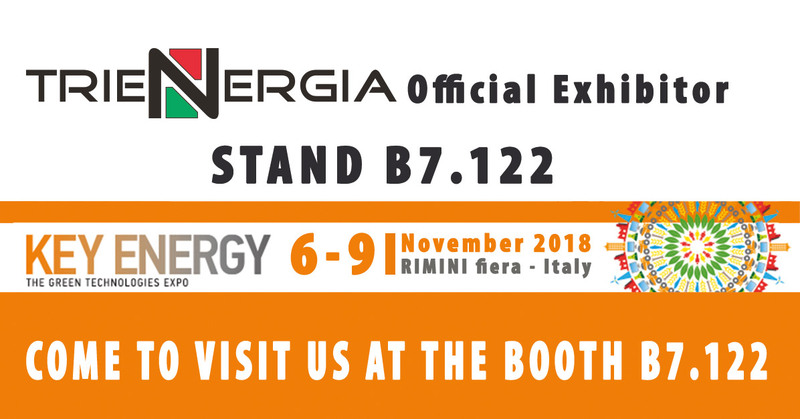 Trienergia will be present at Key Energy 2018, the leading Italian event dedicated to technologies for the intelligent use of energy in the industrial and residential sectors. In conjunction with ECOMONDO. Trienergia will be present at KEY ENERGY 2018 in Hall B7 - Booth 122, to present the news in terms of solutions for energy efficiency. On the stand you can see all of the leading products of our Trienergia proposal, which will include not only photovoltaic modules, but also electric charging columns, wallboxes, batteries for electrical storage (storage), solar solutions thermal and thermodynamic.